HP to discontinue webOS device operations | BlackBerry Blast! As part of HP's quarterly fiscal announcement the company reported plans to announce it will discontinue operations for webOS devices, specifically the TouchPad and webOS phones. HP will continue to explore options to optimize the value of webOS software going forward. HP has been having trouble getting webOS off the ground and it looks like they are throwing in the towel as far as making their own hardware is concerned. So much for that webOS everywhere plan. 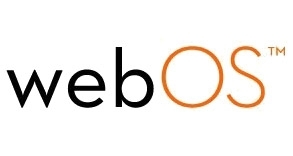 Will someone license webOS? Will it still show up on printers and household appliances? I can't say I didn't see this coming. HP is a very big company that just can't move fast enough. webOS was really nice, but they couldn't just bring it to market fast enough. Oh well, this is probably the saddest day Jon Rubinstein has seen in awhile. His big webOS dream just never really came true.